This January, Batgirl is headed home— with a new artist and new villain to kick off the next arc! Artist Christian Wildgoose (GOTHAM ACADEMY) will take over art duties once Rafael Albuquerque’s run concludes with BATGIRL #6. 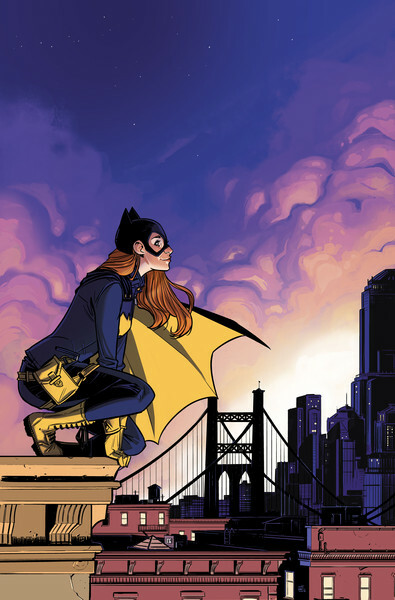 Wildgoose joins writer Hope Larson upon Batgirl’s return home in “Son of Penguin.” Since the launch of Rebirth, Barbara Gordon has left Burnside and Gotham behind for some well-earned time off. Traveling to Japan, Singapore and more she’s been on a quest to train with the most elite masters of the East— as well as taking a break from her everyday crime fighting life. But where she goes, danger always follows. In BATGIRL #7, the Batgirl we know and love returns to Burnside to find an entirely different city than the one she left behind. Due to a boom in tech start-up companies, Burnside is now trendier than ever, leaving Babs to feel out of place in her newly gentrified neighborhood. But it’s not all a loss. She’ll soon meet a dashing and handsome techie named Ethan, only to find out that her striking beau has a familiar last name—Cobblepot! Will her new found romance bring her more trouble than she was ready for? You’ll have to find out. 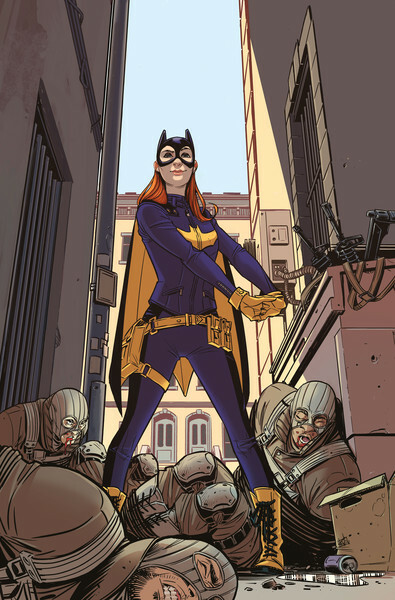 “I’m thrilled to be working with Christian on this next arc, which will bring Batgirl back to her familiar stomping grounds in Burnside,” says writer Hope Larson. “You can never really go home again, and a lot has changed since she left, both in her friends’ lives and in Burnside, which is rapidly becoming even more gentrified. Most interestingly of all, there's a new player on the scene: charming, handsome, tech-savvy, and possibly evil Ethan Cobblepot, the Penguin's son. Christian’s art is fresh, charming, and delightful, and he's the perfect artist to bring this story to life." Check out the beautiful promo pieces from Christian Wildgoose here! The new arc “Son of Penguin” debuts January 25th in BATGIRL #7. Batgirl, issue 3 by Larson and Albuquerque is available now.